The weather here in SF finally cooled down, we even got a little bit of rain the other day! I am excited to add a few new pieces to my wardrobe to stay cozy this Fall... Ok, I admit I have more striped tops than I need but this Francoise 3/4 sleeve top from Amour Vert is definitely the winner! 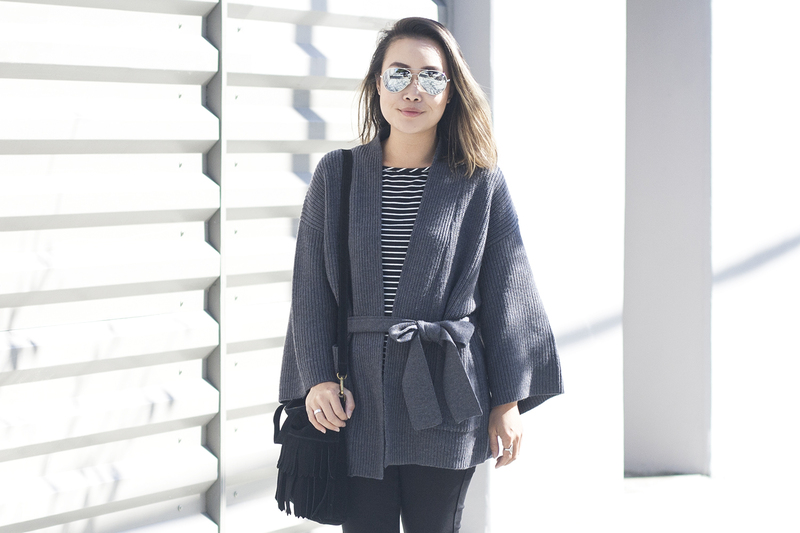 It is super soft and I love both the length of the sleeve as well as the length of the body. 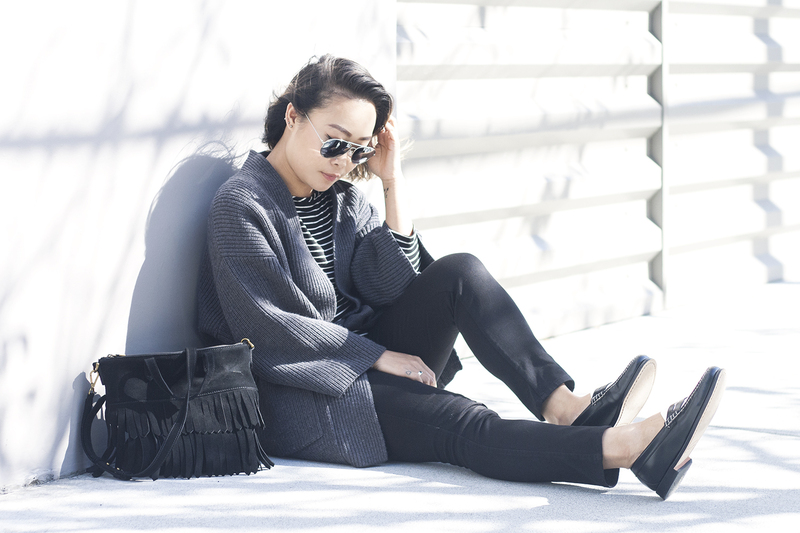 I paired it with a wrap sweater made of 100% merino wool (also from Amour Vert), cropped legging pants from Uniqlo, suede fringe bag from Madewell, and these amazing penny loafers by G.H. Bass&Co. 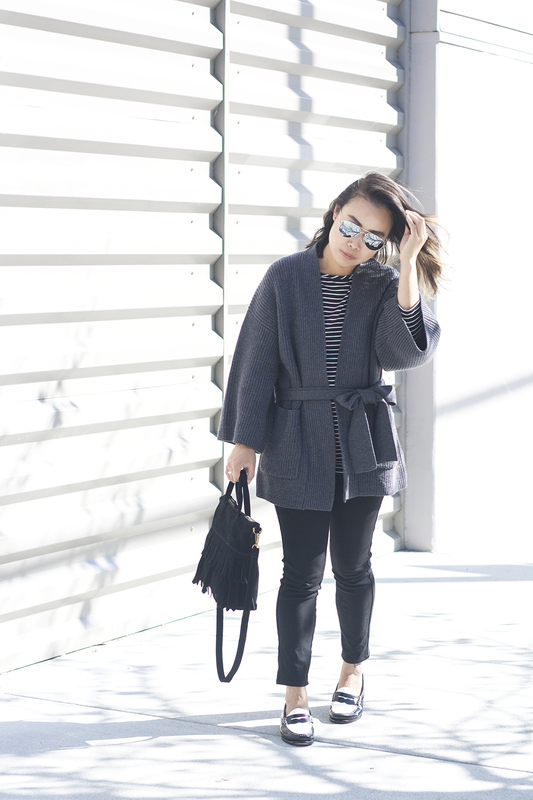 Staying cozy, classy, and comfy all at once! Francoise striped 3/4 sleeve tee c/o Amour Vert. 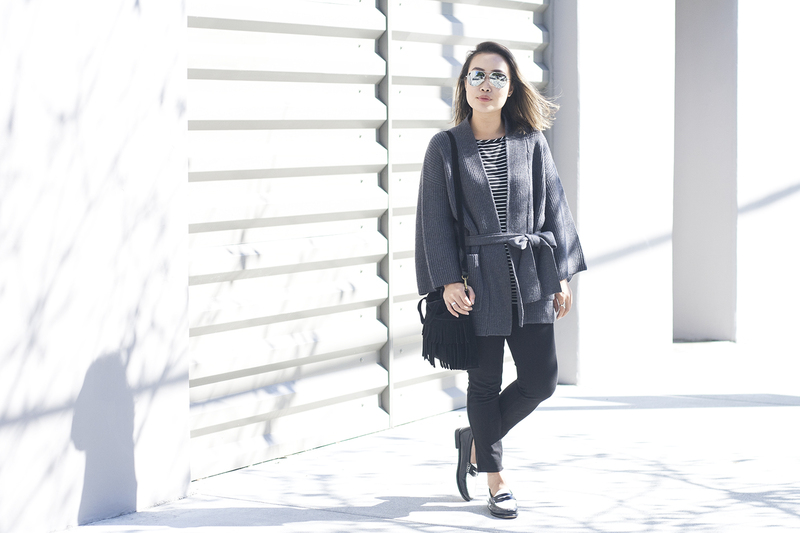 Edisa wool wrap sweater c/o Amour Vert. Cropped legging pants from Uniqlo. 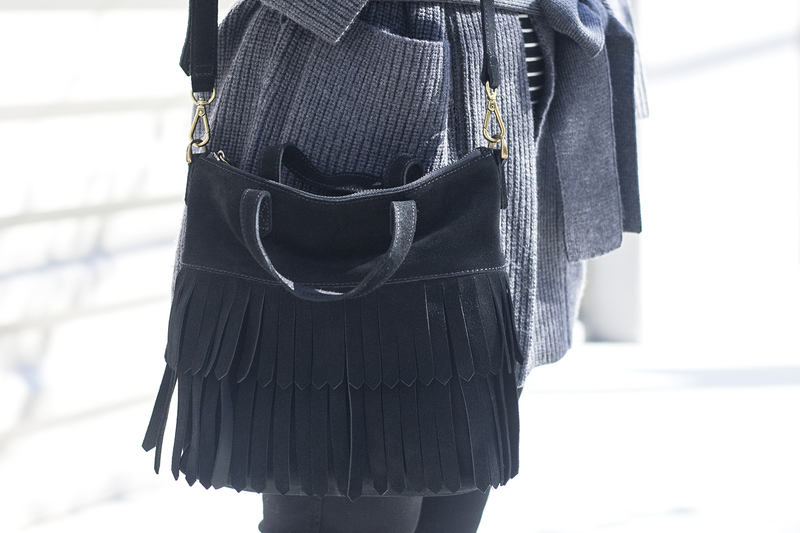 Suede fringe transport crossbody bag c/o Madewell. G.H. 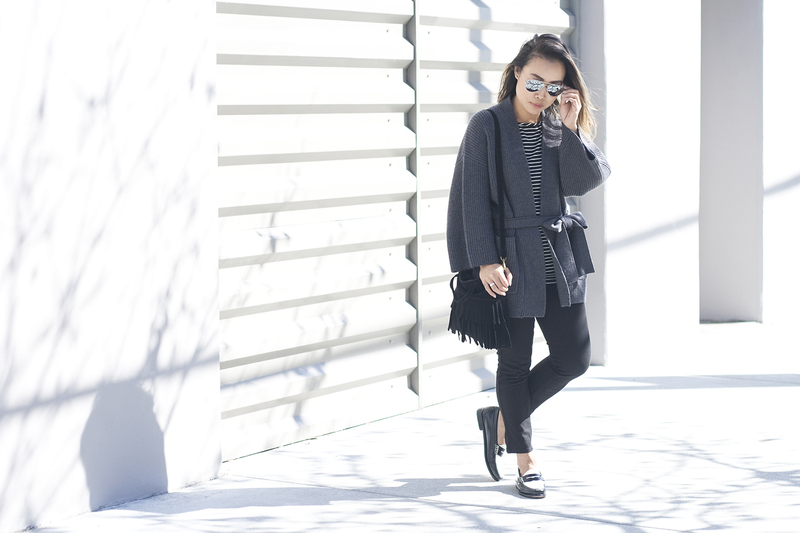 Bass & Co Weejuns loafers c/o Madewell. Nice outfit! 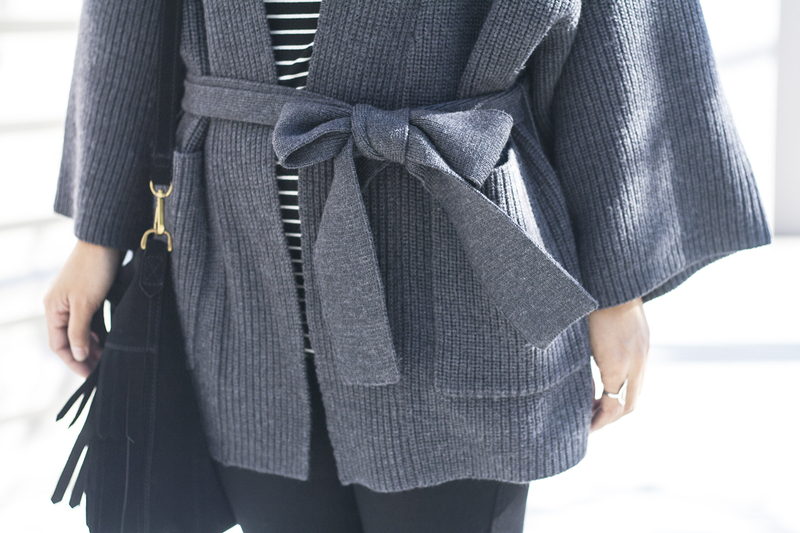 Love your wrap sweater so much!